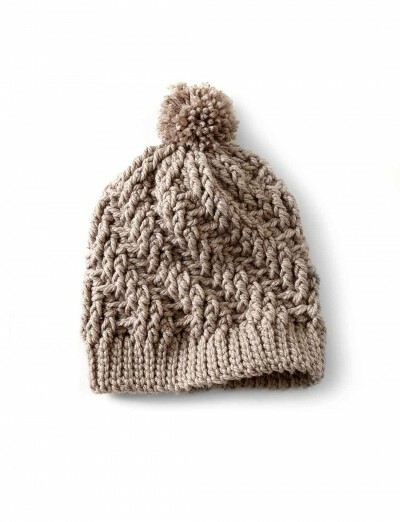 Hat is worked in the round from EASY the ribbing upwards. Ribbing is worked sideways into back loops of slip stitches. Textured pattern is worked with dcbp and dcfp stitches. Dcbp = Yoh and draw up a loop around post of next stitch at back of work, inserting hook from left to right. (Yoh and draw through 2 loops on hook) twice. Dcfp = Yoh and draw up a loop around post of next stitch at front of work, inserting hook from right to left. (Yoh and draw through 2 loops on hook) twice. SIZE One size to fit average woman’s head. 1st row: (RS). Working in back loops only, 1 sl st in 2nd ch from hook. 1 sl st in each ch across. Turn. 6 sts. Rep 2nd row until work from beg measures 21" [53.5 cm], ending on a WS row. 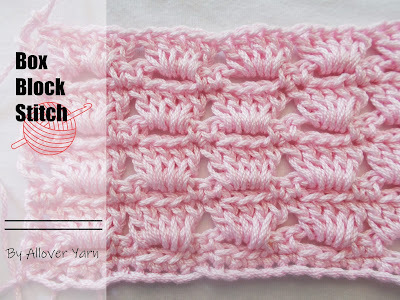 Join back seam: Working in back loops only, sl st last row and rem loops of foundation ch tog. Do not fasten off. Note: Ch 3 at beg of rnd does not count as st.
1st rnd: Ch 3. Work 40 dc evenly around. Join with sl st to first dc. 40 dc. 2nd rnd: Ch 3. (1 dcfp around each of next 3 sts. 1 dcbp around each of next 2 dc) 8 times. Join with sl st to first dcfp. 3rd rnd: Ch 3. (1 dcbp around next st. 1 dcfp around each of next 3 sts. 1 dcbp around next st) 8 times. Join with sl st to first dcbp. 4rd rnd: Ch 3. (1 dcbp around each of next 2 sts. 1 dcfp around each of next 3 sts) 8 times. Join with sl st to first dcbp. 5th rnd: Ch 3. (1 dcfp around next st. 1 dcbp around each of next 2 sts. 1 dcfp around each of next 2 sts) 8 times. Join with sl st to first dcfp. 6th rnd: Ch 3. (1 dcfp around each of next 2 sts. 1 dcbp around each of next 2 sts. 1 dcfp around next st) 8 times. Join with sl st to first dcfp. Rep last 5 rnds until work from beg measures approx 8” [20.5 cm], ending on 6th rnd. 1st rnd: Ch 3. (1 dcfp around each of next 3 sts. Skip next st. 1 dcbp around next st) 8 times. Join with sl st to first dcfp. 32 sts. 3rd rnd: Ch 3. (1 dcfp around each of next 2 sts. Skip next st) 8 times. Join with sl st to first dcfp. 16 sts. Fasten off leaving a long end.